QUESTION | What does sustainability look like? 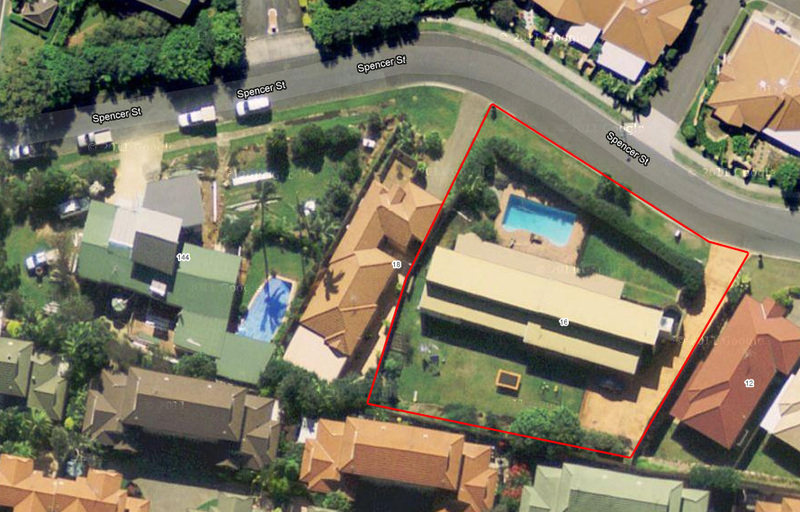 Last year, a largish residential block in my local area was subdivided into three (above, outlined in red). An oversized lowset family home, probably built in the 60s/70s, was demolished and three two-storey family homes were approved (below, two of the three houses are built). I’ve wondered if that house and the one two doors up (green roof) once presided over larger properties that swept down to the main road, gradually cutting away land to sell for development. As far as I can see this development is more of the same kind of resource intensive housing that occupies most of a block of land, leaving nothing for mitigation (i.e. stormwater drainage and carbon capture), no solar panels either. Granted, the white roof plays a part in deflecting heat. Is this really an image of sustainable planning as per the provisions of the Act or is it an incremental compromise or is it about addressing projected housing shortages and infill quotas? While I recognise that this technically represents an increase in density from one family to three close to transport, green spaces and centres – prioritised in various planning instruments – I find myself asking ‘what does sustainability really look like?’ Surely it doesn’t look like this. It’s easy to point to suburban lifestyles and housing as unsustainable and to recognise the McMansion as an inappropriate and resource intensive housing form, especially when replicated en masse across large tracts of single use land. However, walking around inner city suburbs like New Farm, I can’t help but ask this question again as I look at the often architect designed renovations of Queenslanders which sees them double, even triple in size. The pattern of development is, of course, more diverse than suburban areas which results in greater intensity and density. Recognising that house size isn’t the only indicator of sustainability and that wealth is a key indicator, there remains questions about that kind of lifestyle, especially given that the inner city suburbs, like New Farm, tend to have a greater environmental footprint from their consumption habits than suburban areas.